A couple leaves the civilized world behind and descends into a living nightmare in this chilling horror thriller. Six months after losing her only child in the Southeast Asia tsunami, Jeanne (Emmanuelle Béart, Mission: Impossible) is convinced she sees him in a film about orphans living in the jungles of Burma. While her husband (Rufus Sewell, "Eleventh Hour") is worried that she's losing her mind, he still agrees to take her to search for their son together. Introduced to a dangerous gang of human traffickers, they find themselves alone and stranded in the middle of a treacherous jungle, set upon by a band of feral children. Has their search for their son led them to a fate more horrific than death? This one I just couldn't get into. It is a very slow movie that lost my attention in the beginning and was never able to pull me back in. 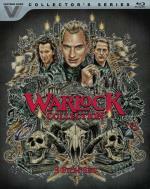 The Warlock (Julian Sands) returns to try and free his father from the fiery chains that imprison him – and is challenged by two warriors with supernatural powers. This was a good sequel... I really enjoyed it a lot... but I think I prefer the first one a little more. I liked how they had the teenage couple as Druid Warriors... gave the warlock someone to fight that also had powers. Which of course made for an interesting fight. 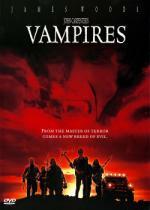 In the blood-chilling tradition of Halloween and Village of the Damned comes John Carpenter's unique vision of the ultimate killing machines, VAMPIRES. 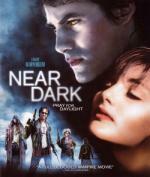 This is another of my favorite Vampire movies. I think James Woods did a great job as a vampire hunter. The story line is great and I really like the way they did the vampires. This one is well worth the time put in to watch it. I would highly recommend it. Inside The Mirrors...The Dead Live On...Waiting For Vengeance. When a young woman is brutally murdered in front of a mirror that is a portal to the world of the undead, her spirit goes on a murderous rampage. One by one, she stalks the men and women responsible for her horrific death, exacting bloody revenge by dismembering and eviscerating the guilty. They can't run...they can't hide...they can't look in the mirror! This one I liked quite a bit. The story was interesting and the effects were good. I do however think I liked the first one better. But this is definitely worth the time put in to watch it. I felt like watching something that is just plain fun next. 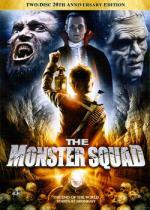 So I pulled out The Monster Squad. This one is an old favorite of mine that I liked to try to fit in every October. Always good for a few laughs... the lines "the Wolfman has nards!" and "Well Steve... but he doesn't count!" gets me laughing every time I watch this movie. I like how they have most all the classic monsters in this movie. They made the story fun and interesting at the same time. This movie would make a good introduction for kids that are curios about horror movies. If by chance you never seen this movie I would definitely recommend it to all. This is a movie that has seemed to fly in under the radar for most people. I discovered it while I was working at the local video store.... and everyone I ever suggested it to never even heard of it. But yet of the MANY people that took a chance on this movie because of my recommendation... I don't remember ever hearing bad feedback. As far as I remember everyone enjoyed it! One of the things I like about this movie is that even though while watching it there is no doubt in your mind this is a vampire movie... they never once use the word vampire in the movie... and you never once see a set of fangs. Another thing I like in this movie is the awesome bar fight scene. I have seen a few bar fight scenes in horror movies... and this is one of the best. Then you have the added bonus that one of the stars of this movie is Lance Henrikson.... a great genre actor of the time. Another thing about it is the simplicity of it all. The portrayal of the vampires... and even the cure for vampirism is so simple that it just makes sense. This is one film that if by chance you have never seen I highly recommend it. Definitely a must see for any vampire fan. If there is one thing I would change about this blu-ray release (other then give us more extras!... never enough extras!) it would have to be the cover art they used! looking at this cover art and I think films like Twilight. Like they are trying to pique the interest of teen girls in this film. As irritating as that seems... lets face it... that really is of little importance. The most important thing is having the film itself. One of the better Disney live-action films. Suitably creepy atmosphere, good use of the natural setting, and reasonable amount of mystery for a family film. The acting is mostly just adequate (we're excepting Bette Davis, who is fabulous), but not nearly as bad as other live-action films aimed at kids. Interesting alternate endings, though I do thin they made the right choice for the theatrical. Recommended for something to watch with the whole family, this is good enough for both the adults and the kids. Pete once told me "Every movie is for somebody, but no movie is for everybody." I have to keep repeating that to myself, because there are people who love this turd. The script is dull, the effects are laughable (seriously, I've seen better effects in films from 80+ years earlier), and the performances range from school play adequate to laughably bad. Seriously, people, there's camp and there's so over-the-top that you've passed camp into Everest-sized caricature. That's not even touching Tim Curry's "the filmmaker dropped acid" music video in the center of the film. I like that almost all the characters are female - all the kids, teachers, and even the villains. That's really nice to see in a film aimed at kids. So 1 star for passing both Bechdel and Mako Mori. I love Tim Curry, I mean, I don't love him in this, but he is a cool dude, so we'll give this 1/2 a star for him just being in it. Still, would not recommend and have no intention of ever watching again. A young newlywed couple acquires an old abandoned house that soon brings them into contact with a vengeful spirit of horror and despair. While the ghost protects the couple from unscrupulous visitors at first, it becomes apparent that it expects a terrible favor in return. Only by setting the spirit free will they have any chance of surviving its wrath. Decent ghost story based on a Thai folktale. Some of the acting seems a bit over done (the monk's greedy assistant comes to mind here), though I really like the actress that plays Nak. She's really good and her character develops into a strong, resourceful person. It's so nice to see a good female heroine in a horror movie. I'm not always happy with Nak's friends, and the film drags a little too long. It really should have ended with the scene before the last. Despite the criticism, this is a good ghost story and I'd recommend it overall to folks who enjoy Asian horror. If it isn't as good as the best stuff out there, it's still a decent film that's worth seeing. 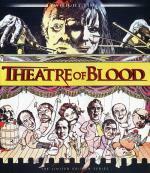 Theatre of Blood (1973), directed by Douglas Hickox, offers the one and only Vincent Price in a role both madcap and touching. He plays a Shakespearean actor determined to wreak vengeance on the critics who fail to appreciate his genius, killing them in a series of set-piece murders based on scenes from Shakespeare. Diana Rigg plays Price's Cordelia-like daughter, and a lineup of British thespian legends incarnate the critics, including Robert Morley, Jack Hawkins, Harry Andrews, Arthur Lowe, Robert Cooke, Michael Hordern, Dennis Price, Ian Hendry, and Coral Browne. This is camp done right. 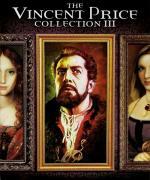 Vincent Price is delightful as a Shakespearean actor driven mad by criticism. After his attempted suicide, he returns to gleefully murder his critics in elaborate Shakespeare-themed set pieces. Before and afterward he does pieces of the various plays famous monologues. One of Price's best roles, this is highly recommended for anyone who enjoys his work. Definitely one to come back to. Hard film to review here. This is super influential. Bleak, dark, actually horrific. Romero made very good choices for his low budget - the single setting, the cheap black-and-white film. He ushers in the idea that horror is not just something to hint at but something to show. We actually see the ghouls here eating the flesh and organs of their victims. Though they are called ghouls here, this is the start of the flesh-eating zombie genre. We also have a strong, resourceful, likeable hero in Ben ... who happens to be African-American. On the bad side, I really hated Barbra. She's another example of the useless screaming woman trope that I despise. She does nothing to work toward her own survival, or to help the others. At least Harry, another character I really didn't like, did try to do things, even if he was a snivelling coward more interested in being right and being in charge. I feel like I ought to rate this higher than I am, but for me the parts that I liked and thought were good are balanced out by my extreme dislike of Barbra. Iconic British-born queen of Gothic horror Barbara Steele (Mario Bava’s Black Sunday) is mesmerizing in this surreal, atmospheric chiller directed by Italian dark fantasy filmmaker Antonio Margheriti (Castle of Blood, Invasion of the Flesh Hunters). Essaying a dual role, Steele stars as an unlawfully-executed woman’s doomed daughter whose own murder won’t stop her from fulfilling her mother’s curse upon a despicable nobleman and his family, even from beyond the grave. Filled with shuddery, stark black and white imagery, bursts of operatic violence and featuring a thundering score by Carlo Rustichelli (Blood and Black Lace, The Whip and the Body), The Long Hair of Death stands as one of the finest European horror films of the 1960's. Nice little Gothic chiller with a bit of ghostly revenge. 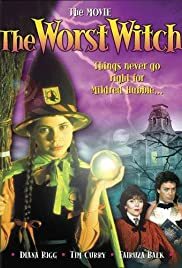 Good performances from Barbara Steele and Halina Zalewska as the sisters, and Giorgio Ardisson did a good job as well, especially at making you hate his character. Lighting and setting are also done well to give this little Gothic a decent atmosphere. On the other hand, the script is kind of all over the place, and it does seem to drag a bit. Gets you into it by the last third of the film, and it does have a fine ending. Recommended if you like old school horror. Renowned acting legend Claude Rains made a remarkable screen debut in The Invisible Man, based on H.G. Wells’ acclaimed novel. Rains, a mysterious doctor, creates a serum that makes him invisible. But the miraculous potion also has the power to drive him mad, as he discovers when he is forced to commit horrific acts of terror. 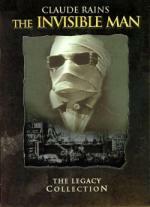 Directed by the master of the macabre, James Whale, The Invisible Man set the standard for dazzling special effects with ingenious techniques that are still imitated today. This is my second time watching The Invisible Man and the effects are still amazing when you think this was made in 1933. Claude Rains performance still carries the film. He is able to embody this character, and tell you so much about him, with only his voice. I am also still annoyed with Gloria Stuart's hysterical, weepy, useless Flora. Una O’Connor's character also grates on the nerves. These are minor complaints to an otherwise classic film that is not only influential but still holds up quite well and is a lot of fun to watch. 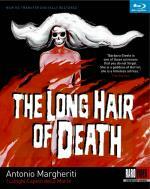 Recommended for anyone who enjoys classic horror or classic films in general.